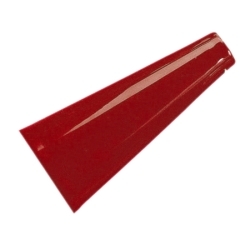 This small megaphone is perfect for cheerleaders, shows such as “Grease” or “High School Musical”, or for cheering on your favorite sports team! The small megaphone is available in assorted colors, has an attached string, and measures 9” long and 3.5” in diameter at the widest point. Made of plastic and can be painted to meet your needs.